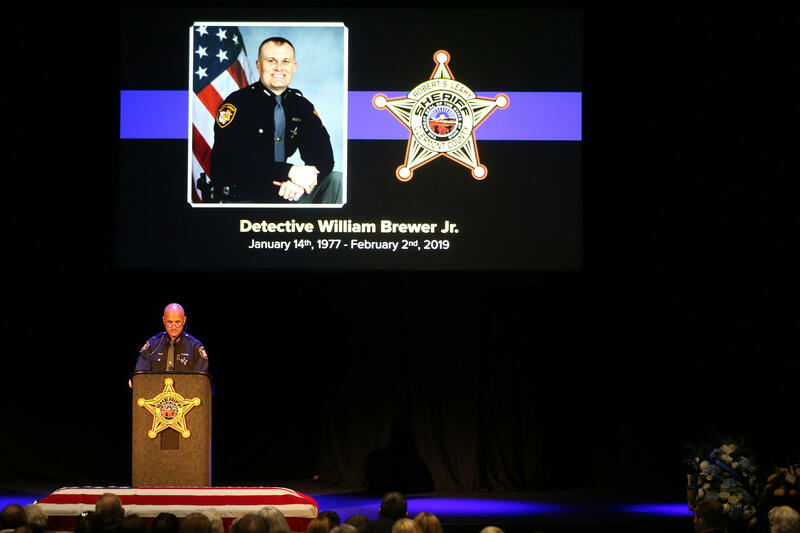 Clermont County Sheriff Robert Leahy delivers remarks during funeral services for Clermont County Sheriff's Detective William Lee Brewer Jr., Friday, Feb. 8, 2019, at Mount Carmel Christian Church. The casket carrying Detective Bill Brewer, a 20-year veteran of the Clermont County Sheriff’s Office, is processed through Pierce Township Cemetery in a Caisson. "This would be the guy I would want to show up if my family members were in need," said Sheriff Steve Leahy. "I'm a mess. I'm a wreck. I'm devastated, but just like all of you, how can I not be when I know that Bill's family is not okay?" Leahy asked mourners. Mourners exit at the conclusion of funeral services for Clermont County Sheriff's Detective Bill Brewer at Mount Carmel Christian Church. Leahy thanked the community and honored his deputies and first responders from around the region that responded to the incident that took Brewer's life. The emotional sheriff wrapped up his comments by addressing the man accused of luring officers to his home and killing Brewer. "To that a—hole in my jail, I have two words for you on behalf of Bill's family, this county, my office and all the cops across this country: screw you." The church service concluded with a video of school children holding hearts and thanking Brewer for his service. Clermont County Sheriff Robert Leahy delivers remarks during funeral services for Clermont County Sheriff's Det. Bill Brewer. Brewer, a 20-year department veteran, leaves behind a wife and 5-year-old son. A procession with hundreds of safety vehicles will soon leave the church and go through Batavia, onto westbound State Route 32, south on I-275, east on State Route 125, and ending at the Pierce Township Cemetery where Brewer will be buried with full police honors. Prosecutors say they intend to seek the death penalty for the man accused of Brewer's killing. Lt. Nick DeRose was also injured in the incident. He was treated for his injuries and released from the University of Cincinnati Medical Center. 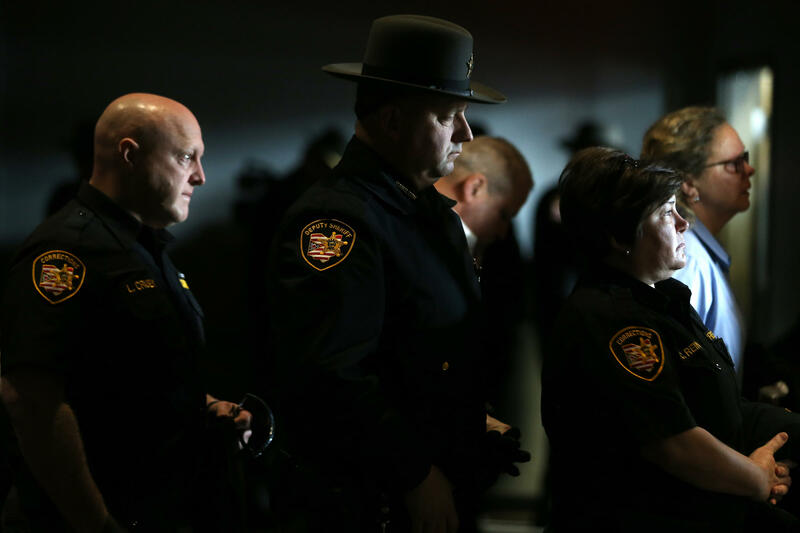 Clermont County prosecutors plan to seek the death penalty for a suspect accused of fatally shooting a sheriff's deputy and wounding another deputy during a 12-hour standoff that ended Sunday morning.